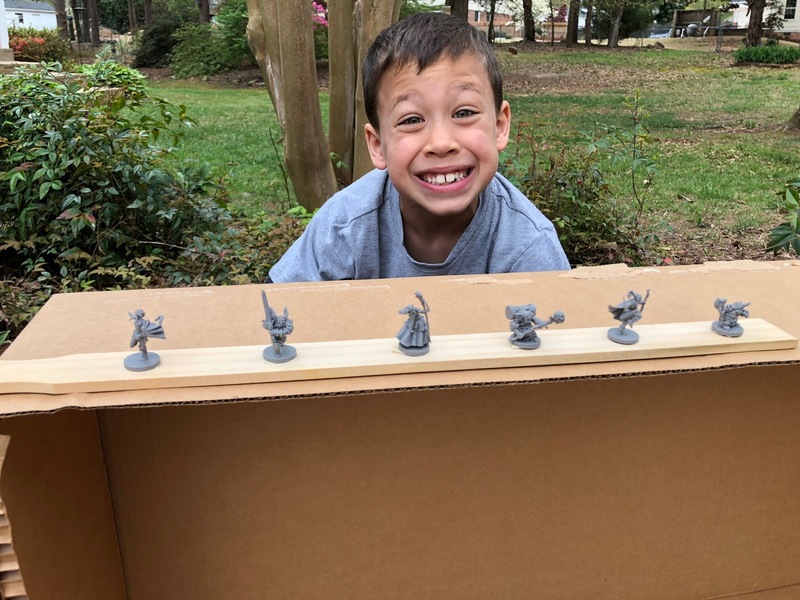 Chumpmonkey.com - Gaming Adventures with Kids! 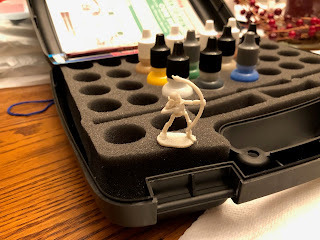 : Painting Miniatures with the Reaper Learn-to-Paint Kit! Painting Miniatures with the Reaper Learn-to-Paint Kit! Way back in the day I was an art major in college. I wisely changed my major when I realized I had to work twice as hard to be half as good as my classmates (example of one of my classmates today, and yes he was just as good in college). Anyways, I've always enjoyed art and painting but have never done it since college. 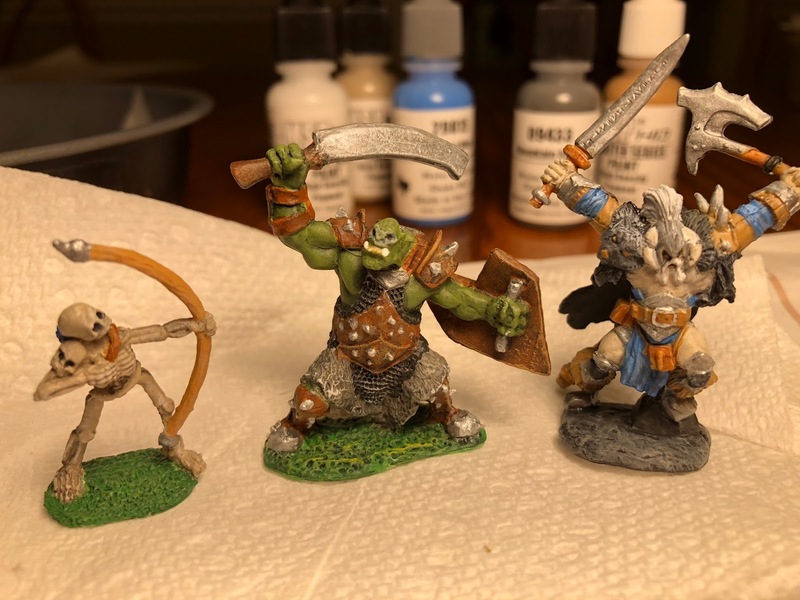 Over the last year a good friend of mine started doing some miniature painting and painted a few of my game minis and I was blown away how cool they looked! 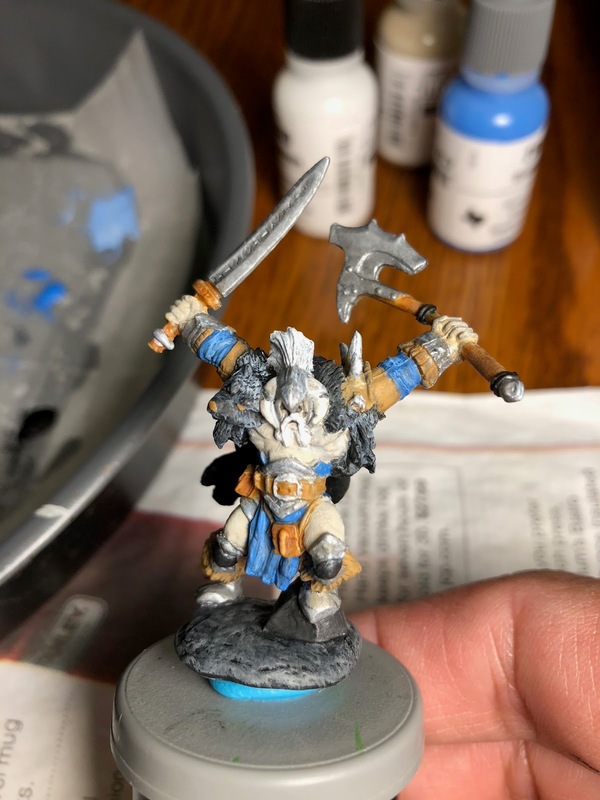 So recently (last month) I decided to buy a Reaper Learn-to-Paint kit and give it a stab. I really forgot how much fun it is to paint again! I work in the tech field and get tired of staring at a screen all day so it's actually really nice to just put some headphones on and stare at a little plastic figurine for a few hours. It's oddly relaxing and satisfying to see it come to life through color. The Reaper LtP kit is a great way to jump into this hobby. Once you start doing some research it can become quite intimidating seeing all the info about paints, manufacturers, how-to's, etc. After a bit of research on /r/minipainting and some other places on the 'net I decided to pick up the Reaper LtP kit as it came highly recommended. And I'm really glad that I did! The minis that came in my kit were slightly different than what was in the instructions or on the cover. I got the Skeleton Archer, Orc Warrior, and instead of the Knight, I received Kord the Destroyer. Working with Kord was a little bit of a challenge since the instructions referred to the Knight. So with some ample google-fu I was able to find some inspiration from other completed Kord minis out there. I was fairly happy with the result (below). All 3 ready to fight! 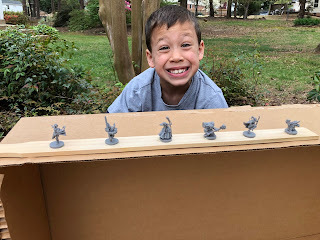 My boys (7 and 9) love the minis and keep asking if they can keep them. :D Right now I've told them we're saving them for our Hero Kids battles and others coming down the pipe. I am a total noob in this world so I can't compare the Reaper Paints to P3, Army, Vallejo, or Citadel. Overall though I'm very happy with the the paint and how the Reaper system introduces complexities to painting as you go through the tutorials. I just ordered the next kit - Layer Up! - and it should arrive sometime this week. I can't wait to jump right into it and start improving my skills. I just primed my Runebound 3rd Edition minis and will probably start working on them this month! Stay tuned for updates there!